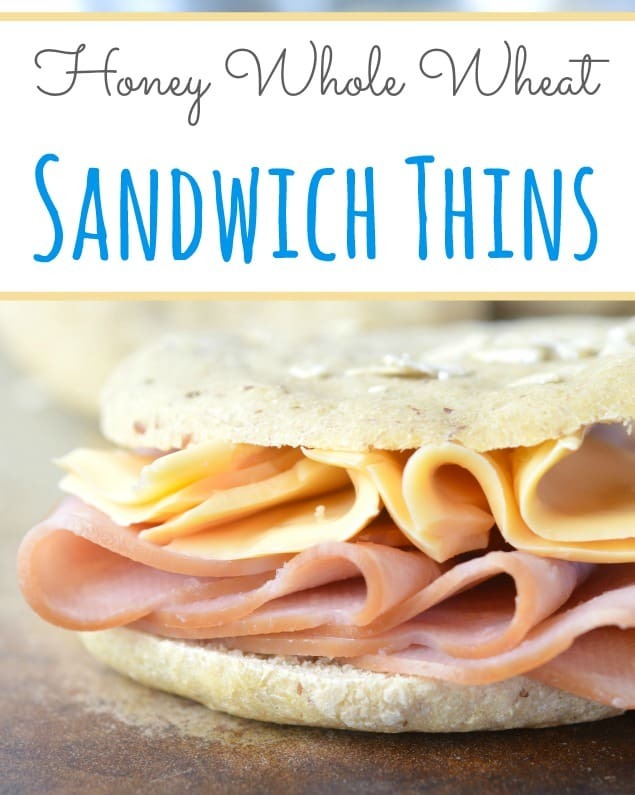 Try this Honey Whole Wheat Sandwich Thins recipe the next time you are looking for a wholesome, yet simple sandwich. 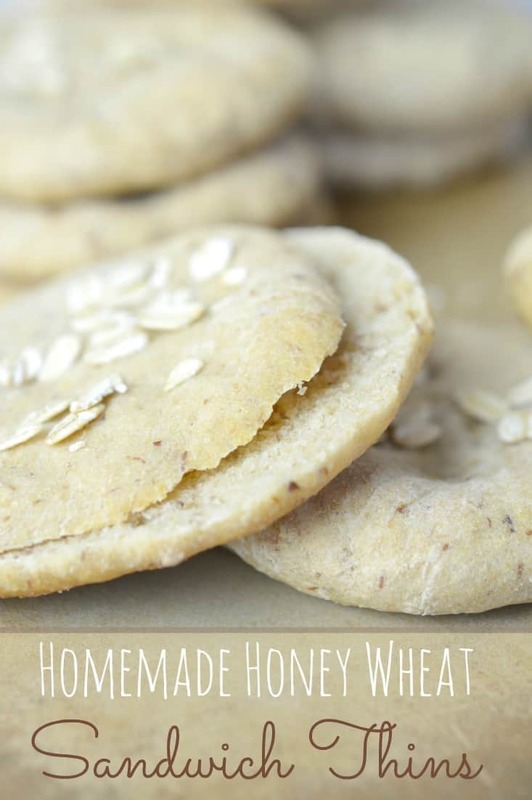 In a bowl, mix together 1 cup of warm water, flaxseed, the sugar, the yeast, and ¾ cup of whole wheat flour. Set aside for 10 minutes. Add in the remaining flours, honey, and salt. 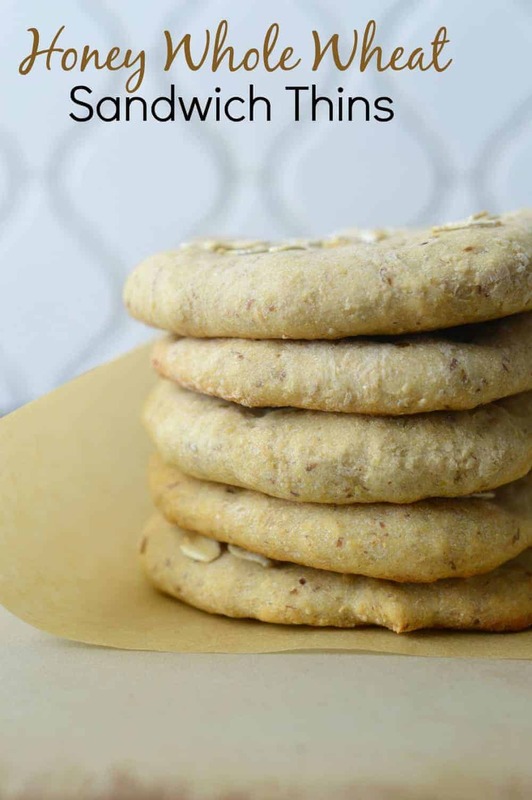 Knead the batter well with your hands or with a stand mixer until dough becomes easy to handle. You may need to add more flour. 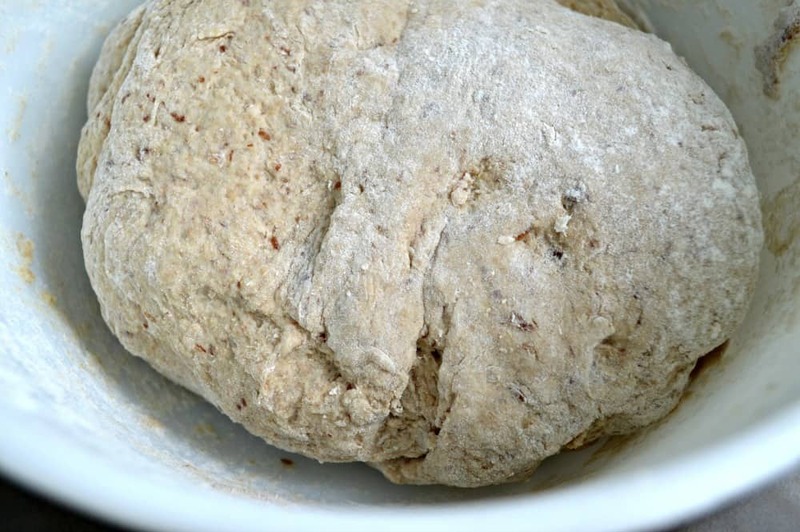 Once all of the flour is incorporated and the dough is no longer sticky. 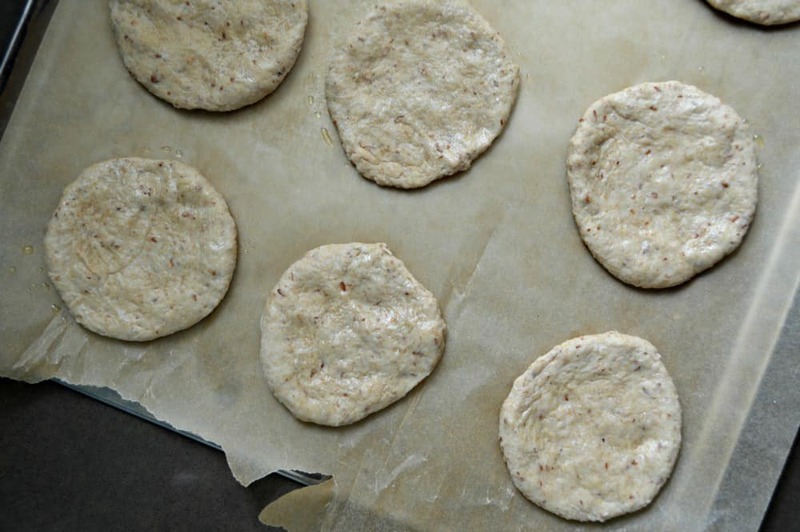 Place the dough in a warm area and cover it with a clean towel. Let it rise for about 30 minutes. 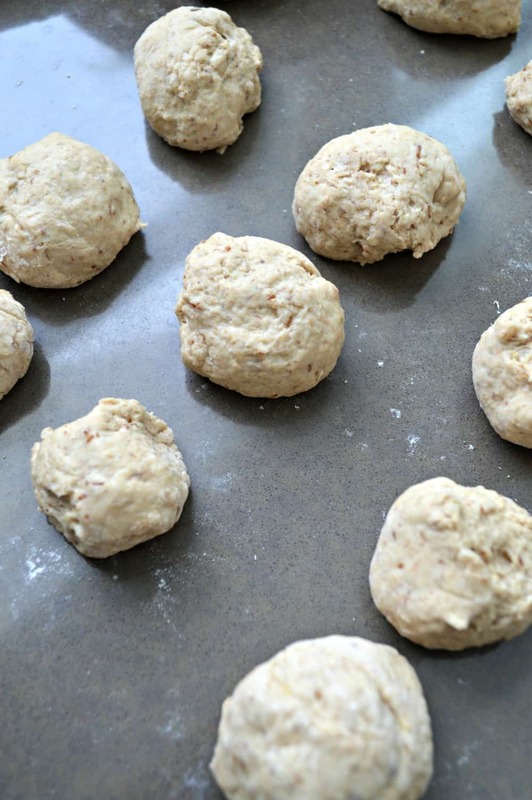 Remove the dough from the bowl and knead a few times, divide the dough into 24 pieces and roll each into a small ball. Place on a greased or lined cookie sheet. Let the balls rest for a few minutes. Once the balls have rested, spray each of the tops with a little oil and use your hand to flatten. Prick the dough a few times with a fork or a toothpick. Sprinkle a few raw rolled oats on the top of the thins if desired. 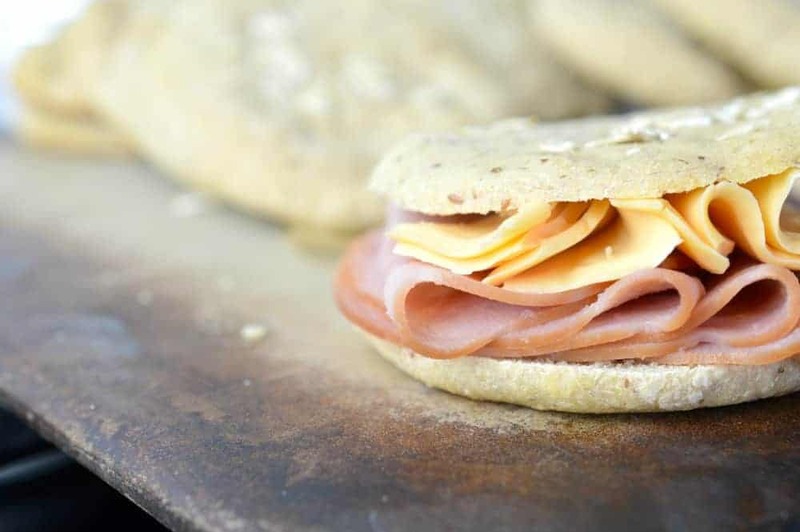 Bake at 375 degrees for about 15 minutes or until the thins are cooked through. Remove from the oven and cool. 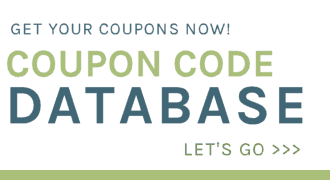 Store in the fridge or freezer until ready to use. flour. Set aside for 10 minutes.